This reading group guide for Britt-Marie Was Here includes an introduction, discussion questions, ideas for enhancing your book club. The suggested questions are intended to help your reading group find new and interesting angles and topics for your discussion. We hope that these ideas will enrich your conversation and increase your enjoyment of the book. Britt-Marie is an acquired taste. It’s not that she’s judgmental, or fussy, or difficult—she just expects things to be done a certain way. She has maintained a perfectly organized life in Stockholm, Sweden, with her husband, Kent, for forty years, making sure his shirts are pressed, their apartment is spotless, and that they never run out of baking soda or her favorite brand of window cleaner. But when Britt-Marie discovers that Kent has been unfaithful and her perfectly organized life suddenly becomes perfectly disorganized, she does something bold: she leaves. Finding herself in the backwater town of Borg, Sweden—of which the kindest thing one can say is that it has a road going through it—as the caretaker of a recreation center slated for demolition, Britt-Marie is soon being challenged, surprised, and coaxed out of her comfort zone in all sorts of ways. As she discovers more about Borg and its oddball residents, she also discovers more about herself. Behind the passive-aggressive, socially awkward, pedantic busybody is a woman who has more imagination, bigger dreams, and a warmer heart than anyone around her realizes. When Kent turns up on her doorstep one day, Britt-Marie must decide what she truly wants: to return to her old life, to make a new life in Borg, or to embark on an entirely different path. 1. How is Britt-Marie’s character revealed by her interactions with the people in Borg? In what ways do Borg’s citizens change Britt-Marie? Use specific examples to demonstrate your point. 2. Think about the children on Borg’s soccer team: to what extent are they responsible for Britt-Marie’s growth, and how? Does one particular child have greater influence on Britt-Marie than the others? If so, who, and why? 3. Describe the book’s narrative style. How would you characterize it? How does it play into your perception of Britt-Marie, or influence your understanding of events? 4. “She has difficulties remembering the last time she said anything at all, until one day she left him without a word. Because of this it always feels like the whole thing was her fault” (page 151). Communication plays an important role in any relationship, and Britt-Marie’s reflection on her own silence raises a curious point; to what extent do you think Britt-Marie contributed to the unraveling of her and Kent’s relationship with her silence? How much blame, if any, can fall on the shoulders of only one person in these cases? 5. Britt-Marie is a curious combination of strength and assertiveness mixed with anxiety and shyness. How are these seemingly opposing qualities related to each other in Britt-Marie, like two sides of the same coin? 6. How have Britt-Marie’s experiences as a girl and a young woman made her into the woman she is at the start of the novel? Did learning about her childhood change the way you felt about her as a character? Is there a larger message here about forming judgments of people we encounter without knowing their full story? 7. When we first meet her, Britt-Marie seems to be a fairly traditional, conservative person, yet in the course of the novel she is exposed to many issues and situations that previously didn’t enter her life as Kent’s wife. Consider her reaction to Ben’s date with another boy, or her visit to a prison, or her encounter with a masked gunman. How do these moments affect Britt-Marie? What can they tell us about who she is and about the community she’s joined in Borg? 8. Despite its often humorous tone, this book touches on complicated real-world situations and issues like the economic downturn, social class, the state of the modern family, and children’s rights. What impact has the economic downturn had on Borg? Did the novel cause you to think differently about the power of individuals to have a positive impact on their communities? 9. Consider the role of soccer in this story. What does soccer represent to the citizens of Borg, particularly to the children? In a world marked by instability and uncertainty, why is this sport so important to them? 10. Throughout the book, the team that an individual supports plays a role in the way that person is perceived by others and often tells a lot about him or her. Can you think of analogous scenarios in your own life where you have made certain assumptions about a person because of something he or she is passionate about? 11. Why do you think Britt-Marie decides to call the girl from the unemployment office to tell her that one of the children on the soccer team hit what he was aiming for? What does this moment signify for Britt-Marie? 12. “What is love if it’s not loving our lovers even when they don’t deserve it” (page 283). Do you agree with this statement, or does love without limits tend to lead to a relationship like Britt-Marie and Kent’s at the start of the novel? 13. Why do you think that Kent decides to fight for Britt-Marie’s soccer pitch? Do you believe he’s really a changed man? 14. Why do you think Britt-Marie ultimately makes the choice she does at the end of the story? What was the deciding moment, the impetus for her choice? 15. Do you think Britt-Marie will ever come back to Borg? 1. Write an epilogue about what happens next for Britt-Marie. Share with the group, and explain why you came up with this specific set of events. 2. Have a dinner Britt-Marie would love! Look up recipes for traditional Swedish food and invite members to prepare a few dishes to share while you discuss the book. One of many sources for classic Swedish dishes can be found online at https://sweden.se/collection/classic-swedish-food. 3. Have a debate. Split into two groups: one side in favor of Kent, the other in favor of Sven. Discuss the merits of each and try to persuade the room which man is best suited for Britt-Marie. 4. 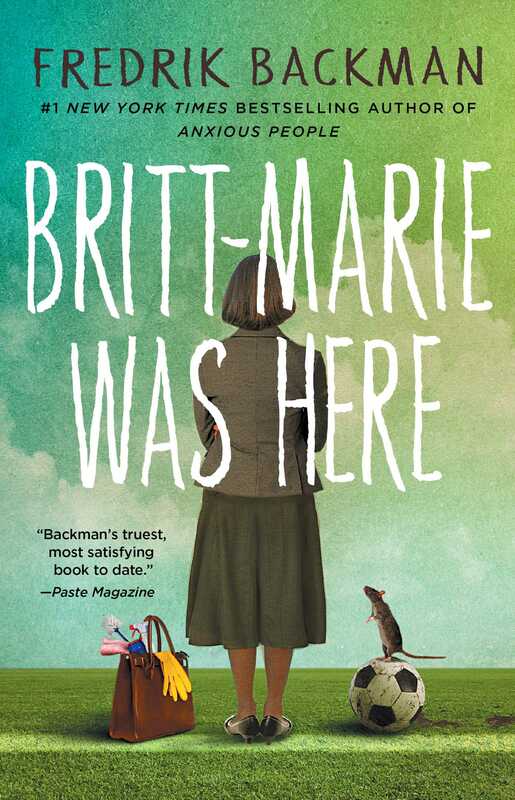 Britt-Marie and Kent also appear in Fredrik Backman’s previous novel My Grandmother Asked Me to Tell You She’s Sorry. Read it with your book club to learn more about their characters. 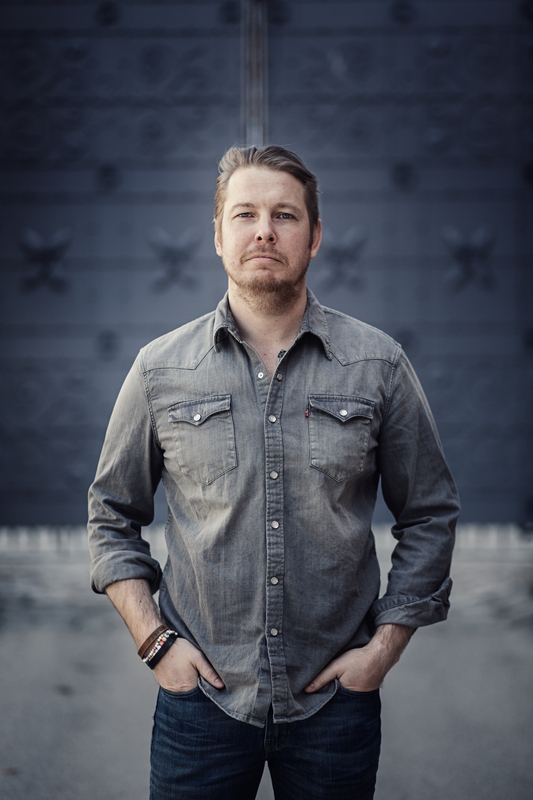 You can also read Backman’s bestselling debut novel, A Man Called Ove. Consider how Ove and Britt-Marie tend to interact with other people and how they deal with difficult situations. How would you describe each of their philosophies of life? Make a list of some qualities they have in common, and of some ways in which they are very different from each other.